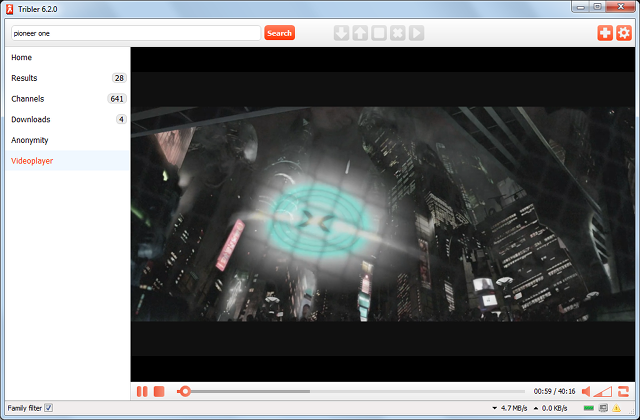 Tribler is an open source anonymous peer-to-peer decentralized BitTorrent client. Tribler is based on the BitTorrent protocol and uses an overlay network for content searching, which makes the program operate independent of external websites and renders it immune to limiting external action, for example, government restraint. No need for websites. Tribler has a built-in search engine. Watch before the download is finished. Tribler streams it for you. Note: Upgrading from older version will not be completely silent since the downloaded installer uninstalls the previous version without passing silent arguments. This discussion is only about Tribler and the Tribler package. If you have feedback for Chocolatey, please contact the google group. Tell us what you love about the package or Tribler, or tell us what needs improvement. Deployed from e27d7a207f. You are on web.1. UTC time is currently 19 Apr 2019 01:30:56 +00:00.